At Villa Amanzi, you feel like you've been invited to stay at a friend's rather opulent private holiday house. The sometimes quirky hand-picked art and interior furnishings, discreet but dedicated staff team and mature terraced gardens offer a reassuring sense of established comfort that is in marked contrast to the experience in some of the more generic 'built-to-rent' properties in Phuket. The villa's spacious accommodation, with bedrooms distributed between all three of its storeys, make it equally suitable for groups of friends and large families (or two smaller ones), and a lift makes it just as hospitable for elderly guests. room provides for air-conditioned revelry, while a sauna and massage room alongside the pool nicely take care of recovery sessions the day after. Guests also have access to the estate’s tennis court and well-equipped gym. An attentive hospitality team is efficiently run by the owner's long-term villa manager Ms Suchada, and with a suggestion menu that more than matches any of the local Thai restaurants' offerings, plus a few western dishes adding variety, mealtimes are an easily organised and tasty event. 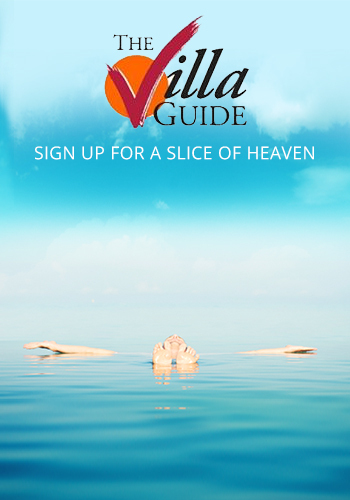 A private chef is included in the villa rate and guests are charged for provisions plus a service/shopping fee. Despite being part of a gated estate, clever design ensures that Villa Amanzi is not overlooked by its neighbours, and its elevated location not only draws in the stunning ocean views, but also the cooling sea breezes. Picture-postcard Kata Noi bay is in constant view from the villa and the sound of the waves provides a soothing soundtrack to your stay.